Childrens Gardening Sets, Growing Kits, and Paint-Your-Own Wellies and Raincoats! There's never been a better time to get children gardening than with the Little Pals range of kits for gardening, growing, and activities. 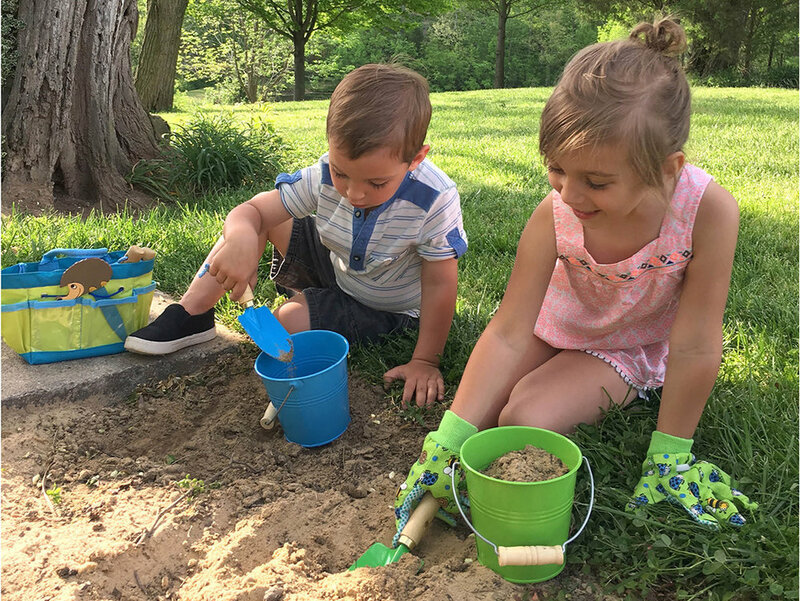 Including buckets, watering cans, trowels, forks and gloves in the coolest colors and growing and activity kits to get kids helping out in the garden, digging, planting or simply having a go at their very own patch. With sturdy wooden handles and metal heads these gardening hand tools, spades and rakes are well made and specially designed for smaller hands. The buckets and watering cans are galvanised before coating to help prevent rusting and are excellent value for the money. Our selection of Paint-Your-Own Wellies and Raincoats make for a perfect activity with kids. And they are so easy to decorate nobody will have a pair or coat quite the same! With our large selection of gardening, growing, and activity kits, we've made it easy for kids to get involved and learn about the importance of growing-your-own. Each kit comes with all the items children need to get started. And they make perfect gifts too!